Steve Herman was born and raised in New Orleans, Louisiana. 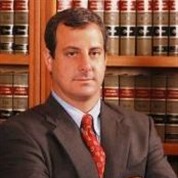 Herman has handled everything from highway defect and products liability cases, to fire and flood loss cases, to attorney fee disputes and employment cases, to special appellate work before the Louisiana Supreme Court and other courts of appeal. In 2010, he was appointed to serve as one of two Co-Liaison Counsel for all businesses, individuals and local governments in the Deepwater Horizon maritime disaster / BP Oil Spill litigation. His primary focus has been commercial, class action, insurance coverage, and professional liability cases, representing both plaintiffs and defendants. An adjunct professor teaching complex litigation at both Tulane Law School and the Loyola University School of Law, Mr. Herman has given numerous speeches on consumer fraud, tobacco, maritime, and managed care litigation; complex discovery, electronic discovery, and spoliation; preemption, privilege, trial preparation, deposition strategy, motion practice, legal ethics and professionalism, class actions, and complex litigation. He is a former Southeast Louisiana Legal Services board member, a past president of the Civil Justice Foundation, and spent six years on one of the Hearing Committees appointed by the Louisiana Attorney Disciplinary Board.